The 21-year-old Austrian defeats Renzo Olivo in three sets to face Joao Sousa in the semi-finals of the Generali Open. Philipp Kohlschreiber will take on Fabio Fognini. 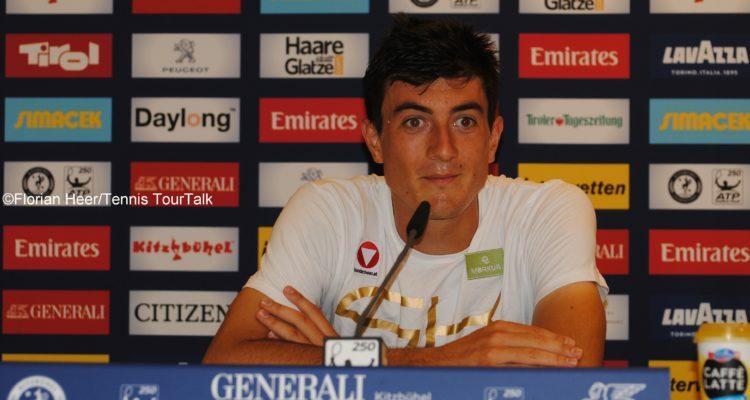 Sebastian Ofner continued his great run in front of his home crowd and advanced to his first career ATP World Tour semi-finals by outlasting Argentine Renzo Olivo at the Generali Open in Kitzbühel on Thursday 6-3, 1-6, 6-3. The 21-year-old Austrian, who is making his debut at the ATP 250 event in Tyrol as a wild card entry, won two points less than his opponent but emerged victorious after one hour and 47 minutes. The Austrian #NextGenATP player will challenge Joao Sousa in the stage of the final four. The 28-year-old from Portugal overcame local favourite Gerald Melzer 2-6, 6-1, 6-3. Sousa fired 11 aces and broke serve five times to prevail in one hour and 53 minutes. Philipp Kohlschreiber rallied past last year’s semi-finalist Dusan Lajovic 4-6, 6-4, 7-6. Both players broke serve three times and won the same amount of total points but the Kitzbühel resident was more solid in the final stage of the tie-break, winning 7-5 after two hours and 32 minutes. “Dusan played very well, very powerful with his forehand. I felt pretty good in the second set and I knew that I had to force him making mistakes,” Kohlschreiber analyzed afterwards. The 33-year-old German has recently started to work with his new coach Markus Hipfl. Kohlschreiber, who captured the title here in 2015, will next take on Fabio Fognini, who gained his fourth win over Thomaz Bellucci in as many meetings between the two. The second seed from Italy won 61 per cent of the total points played to secure a 6-3, 6-1 victory in 65 minutes. “I am really happy about today’s match. The beginning was very tough but I was very solid,” Fognini told. 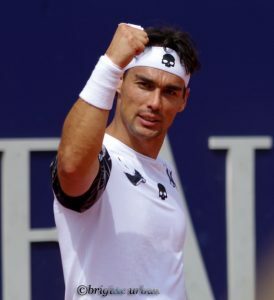 “Conditions in Gstaad were even tougher than here, as it was held at about 1,200 metres, here it’s about 800 metres but I am getting used to it.” Fognini clinched his fifth career title in the Swiss Alps last Sunday. This entry was posted in ATP 250 Kitzbühel, ATP Tour and tagged ATP World Tour, Fabio Fognini, Generali Open, Kitzbühel, Sebastian Ofner.